Consumers are optimistic about shopping during the 2018 holiday season. This year’s holiday retail survey digs deep into consumers’ shopping behaviors, perceptions, and attitudes to help retailers make the most of this opportunity. Our 33rd annual holiday retail survey findings corroborate this forecast—consumers seem bullish about the economy, their household financial situation, and their spending plans for the coming holiday season. Additionally, our consumer survey shows online spending continues to grow and is expected to account for 57 percent of all purchases. In this year’s survey, we explored planned shopping behaviors to understand what consumers seek in this holiday shopping season. We discovered that shoppers are enthusiastic about the season and continue to remain price- and value-focused. Retailers are in a great position this year to influence shoppers’ venue choice and purchase decisions with the right offerings and incentives, as many shoppers enter the season undecided. While some digital device utilization may be reaching a plateau, mobile device utilization is still on the upswing. Finally, customers are hesitant to share their personal information, but willing to do so if retailers offer something in return. This report provides a summary of our findings. We hope these insights will help guide retailers to capitalize on a cheerful holiday season and build deeper relationships with consumers to keep the momentum going well into the new year. The 2018 pre-Thanksgiving pulse survey analyzes Thanksgiving weekend shopping trends, in-store versus online spend, how technology influences purchasing habits, and the impact of timing on spending patterns. Download the full report to find out when and where shoppers will spend the most. Consumers are upbeat about the economy—73 percent believe that the economy will either continue to improve or remain stable in the coming year, with less than a third expecting a slowdown. In matters closer to home (figure 1), the majority of consumers believe their own household situation has improved or has remained unchanged in the past year. A perception of a strong economy as well as robust household financials are the main drivers of holiday spending. Overall, consumers indicate their average holiday spend will increase from US$1,226 to US$1,536 per consumer. Most consumers (78 percent) report they plan to spend more or the same amount as they did last year (figure 2). For those planning to spend more, not surprisingly, the primary reasons given were improved household situation and more confidence in the economy. For those indicating less spend, the primary reasons given had to do with saving more than spending and paying down debt. The types of gifts consumers plan to purchase remain similar to last year, with gift cards, clothing, and toys topping the list. Additionally, over three-quarters of consumers (78 percent) plan to shop for themselves during the holiday season. When it comes to pampering themselves, shoppers are likely to choose food and liquor, clothing, and shoes. With food and liquor on both lists, consumers look to be preparing for a cheerful season (figure 3). Over the last five years, consumers have increased their budgets for experiences such as entertaining and socializing away from home; experiences now represent 40 percent, or US$611, of the planned holiday budget, while gift giving is 34 percent or US$525 (figure 4). This survey was developed by Deloitte and conducted online by an independent research company during September 6–13, 2018. It polled a national sample of 4,036 consumers aligned with the US census for age and income. The survey has a margin of error for the sample of plus or minus 1–2 percentage points. Most shoppers are likely to do at least some research before making a purchase. While much prepurchase shopping research will involve online venues, physical storefronts will play a substantial role as well. Great news for retailers is that both online retailers and physical stores top the list for prepurchase shopping research, coming in just ahead of search engines. This duo is also a great reminder for retailers that shopping is no longer an “either online or in-store” proposition, but it is rather a seamless experience between the two (figure 5). While there are a few clear leaders in terms of which sites and venues will be visited throughout the process, there is no clear consensus on the best or desired place to start. For example, while two-thirds will visit online retailer sites as part of their shopping journey, only one-third indicate these sites are their preferred starting point. Almost a quarter (23 percent) of shoppers plan to use social media sites to assist in their holiday shopping process, about the same as in 2017. These social media users are more likely to trust family and friends (74 percent), followed by brands (58 percent) and retailers (48 percent). Surprisingly, despite media attention on celebrity social media activity, only 16 percent of social media users trust celebrity recommendations. Given that over half of holiday spending is anticipated to be online, it is not surprising that online retailers are the most popular format, with 60 percent of shoppers planning to shop at these venues. Mass merchants represent the second most popular venue type, also being frequented by half of the holiday shoppers (52 percent, up from 44 percent in 2017). Traditional department stores and off-price retailers round out the top four destinations. Many of the remaining retail formats are converging with about 20 percent of shoppers planning to visit them (figure 6). This year’s shopper is of two minds—half hunter, half gatherer. Many shoppers enter the holiday season undecided on what to buy or where to buy it, as half of all purchases are expected to be either completely or partially unplanned. Specifically, 30 percent of purchases are still being finalized and 20 percent are completely unplanned across in-store and online channels (figure 7). Hence, shoppers this year are “gatherers” for half of their purchases, giving retailers a chance to influence a large portion of the shopping budget by focusing on what matters most. For this year’s holiday shopper, that translates to creatively presenting a variety of high-quality products available at attractive prices. While consumers may know what they want for half of their purchases, survey findings suggest they are often undecided on where they will shop. Thus, retailers also have an opportunity to influence “hunters,” those who have already decided what they want to purchase, by providing appropriate incentives to shop at their brands (figure 7). Consumers noted that what matters most when deciding on a shopping venue are price and value, product quality and variety, and presentation. Another way that retailers can score points during the holiday-season frenzy is by making the shopping process and experience smooth and easy. This can be achieved by eliminating anything that is deemed friction in the shopping process, and includes simplifying the checkout and returns processes (figure 8). Also, given that most holiday shoppers expect to move between digital and physical channels throughout their shopping journey, streamlining the omnichannel transition experience will likely prove beneficial for retailers as well. For most shoppers who plan to shop in physical stores, the opportunity to interact with products is paramount. Almost half of consumers shop in-store for inspiration and to avoid shipping costs (figure 9). This finding highlights the importance of in-store availability and creative and accessible merchandising. Ah … the ease of shopping online! Online shoppers are very much on the same page in terms of why they prefer shopping online; over three-fourths of shoppers cited convenience as the main reason to shop online. More than 70 percent mentioned free shipping and two-thirds mentioned time savings and home delivery (figure 10). Shoppers are creatures of habit in both what they purchase for gifts and where they shop. Over three-fourths (77 percent) plan on shopping at the same retailers as last year. However, the tendency to stick with what has worked in the past does not mean this year’s shoppers have already made up their mind—75 percent of shoppers indicated a willingness to try other venues if given the right incentives including better prices, greater product selection, and unique offerings (figure 11). What does it take to break the venue status quo? Better prices lead the way. So, what makes for a “better price”? Given the importance of “better prices” in swaying shoppers from their preferred venues, just what do our shoppers mean by “better prices” and what do they look for in particular? For some, a better price could be the difference between the price in one store compared to that in another. However, given that 95 percent of shoppers find price discounts to be the most appealing (figure 12), what is perceived as a better price just might be the gap between the sale price and the listed price. Along similar lines, our survey also revealed that 82 percent of consumers say their shopping will be influenced by promotions. Price discounts clock in as the most appealing promotion. Coming in second and third as the most appealing types of promotional offers are free shipping and free gifts. Digging deeper, free gifts are more likely to appeal to women (57 percent) than to men (47 percent). Most holiday shoppers will start shopping before Thanksgiving (60 percent, up slightly from last year’s 55 percent; figure 13). Almost one-fifth (18 percent) had already started their shopping before filling out our survey (in early September) and another 21 percent said they planned to start shopping before November. Early bird shoppers spend more than those who start later. The early shopping trend is good news for retailers, as early shoppers are likely to spend US$370 more than those who start their shopping later. Early shoppers tend to be more deal-focused, more engaged across digital and physical channels, and more likely to buy indulgent gifts. Given the potentially greater spend by early shoppers, retailers would benefit from having strategies that encourage shoppers to start their shopping sooner rather than later. These can include limited-duration deals and promotional offerings early in the shopping season. The average shopper plans on making an average of seven physical store visits and eight online retailer visits. Over half of holiday shoppers (57 percent) do not anticipate completing their shopping until December. For most, purchases are spread over two months and the longer consumers shop, the more they are likely to spend. So, when should retailers expect the spending rush? Shoppers will do almost half of their shopping—48 percent—during the 30-day window from late November to mid-December, which includes the traditionally big holiday spending days starting at Thanksgiving. Both holiday shopping traffic and spending are expected to peak in late November (November 16–30). This year, reliance on Cyber Monday and Black Friday is expected to be down a little from 2017. Shoppers tend to be more reliant on Cyber Monday as opposed to Black Friday, with younger consumers embracing these shopping days more than older consumers. The vast majority (93 percent) of shoppers will be connected to and interacting with technology during this year’s shopping season. While desktops/laptops remain the most utilized holiday shopping device, mobile is the most prominent growth area. Nearly half of holiday shoppers plan to use their smartphones and a fourth indicate they will use their tablets. For those customers using mobile devices, 67 percent plan to use mobile to make a purchase, up from 57 percent last year (figure 14). Desktops/laptops remain the most utilized holiday shopping devices, but mobile devices show the greatest year-over-year increase. Once the prepurchase research is done and gift decisions made, 57 percent of this year’s holiday dollars will go through online channels, with in-store capturing 36 percent of spending (figure 15). Desktops and laptops will represent a third of total spending (34 percent), a slight decrease from 36 percent in 2017. The growth in online spending this year is expected to be driven by mobile and tablets (15 percent and 7 percent of total spend, respectively), up a combined 5 percentage points since 2017. Despite new technologies popping up all around us, and media and companies hyping—or even extolling—their virtues,2 most shoppers (81 percent) are not yet planning on using them this holiday season. Only 19 percent of holiday shoppers plan to use innovative offerings such as seamless checkout, voice-assisted shopping, and virtual or augmented reality (figure 16). Should retailers wish to reap the benefit of new technologies, they should not only strive to demonstrate how such technologies improve the consumer experience, but also ensure they are incorporated in a way that is easy to use and understand. Given that a staggering 42 percent of this year’s shoppers have experienced data breaches and also in the light of the publicity around breaches, it is no surprise that almost half (45 percent) the shoppers are concerned about data breaches. The good news for retailers who have experienced data breaches is that less than 10 percent of holiday shoppers indicate they would never shop at such retailers again. However, almost half would like to see the retailer act to regain their trust before they return, and another third will change their payment method (figure 17). While shoppers may be forgiving, they are not entirely willing to share personal information with retailers. Interestingly, gender and name were the only types of personal data that more than half of consumers were comfortable sharing. Moreover, fewer than one in five customers were comfortable sharing more personal information, such as credit score, GPS location, and social media presence. Retailers should be cognizant of shoppers’ discomfort with sharing too much personal information and real-time data. The line between respecting shoppers’ space and keeping a pulse on them and connecting with them at every move they make is a fine one (figure 18). While consumers are hesitant to share too much personal information, they are likely to give a little to get a little; this year’s holiday shoppers indicate a desire for something in return for their personal information. Consistent with the promotional nature of the holiday season, shoppers are most interested in receiving discounts or special offers in return for their personal information. This is followed by faster resolution of service issues and faster checkouts (figure 19). Over three-fourths of shoppers want to have the final say in whether their personal information can be used by retailers. An even greater proportion wants to control whether their information should be available for sale to others. Consequently, retailers would be wise to articulate the value to the consumer of sharing data and assure shoppers of the security measures they are taking. After all, consumers are looking forward to a cheerful season. Shoppers want to have the final say in whether and how their personal information is used. This year’s findings suggest that holiday shoppers are only set on half of their purchase decisions when they enter a retail venue, be it physical or online. Thus, nearly 50 percent of this year’s holiday spend can be influenced by retailers by focusing on what matters most to consumers. Holiday shoppers care about price and value, quality products, and a convenient and easy shopping process. Understanding the timing for shopping and spending is important for retailers as these determine peak times for product availability as well as staff availability not only on the floor, but also to man the checkout areas in physical stores. Similarly, for online operations, this understanding can help retailers plan ahead to avoid delays or site crashes. Also, given that early shoppers are likely to buy more than late shoppers, retailers would be wise to encourage early purchases via such strategies as limited-duration deals. Technology remains an integral part of the shopping process as online shopping is expected to grow and mobile is expected to increase its influence. However, shoppers seem to lack enthusiasm for the newest of technologies. It is pertinent that retailers continue to provide convenient ways for shoppers to connect and interact with them digitally. For retailers who want their consumers to embrace and use technological innovations, they must demonstrate how innovations improve the shopping experience. Implementation and integration of technology should be seamless, easy to use, and easy to understand. Given consumers’ experiences with data breaches and their wariness toward sharing personal information, retailers would be wise to assure shoppers of what they are doing to protect shopper information. Also, ensuring that the relationship and sharing remain a two-way street, retailers should consider providing services in return for personal information, such as special promotions, faster service response, and easier checkouts. Additionally, retailers should be mindful of the accuracy of the information provided by having systems to not only protect data, but also verify it. Consumer optimism is high this year and so are the general holiday spending plans. The consumer, however, still seeks value (low prices, best deals) as well as ease of shopping. Online shopping continues to grow, and mobile utilization is a major driving force. For retailers, gone are the days of thinking about the shopping experience as an “either online or in-store” proposition—rather it should be a blended and easy omnichannel experience. The retail landscape has transformed, and consumer behaviors and expectations have evolved. The time is ripe for retailers to see more than what meets the eye, redefine their strategies, and capture the opportunity that exists this holiday shopping season. 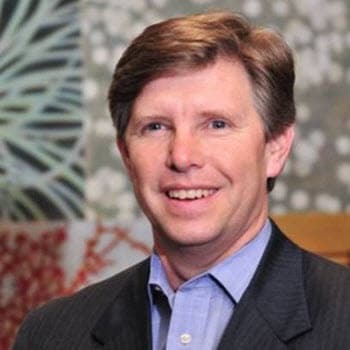 Rod Sides is vice chairman, Deloitte LLP, and leads the US Retail & Distribution practice. He is based in Winston-Salem, North Carolina. 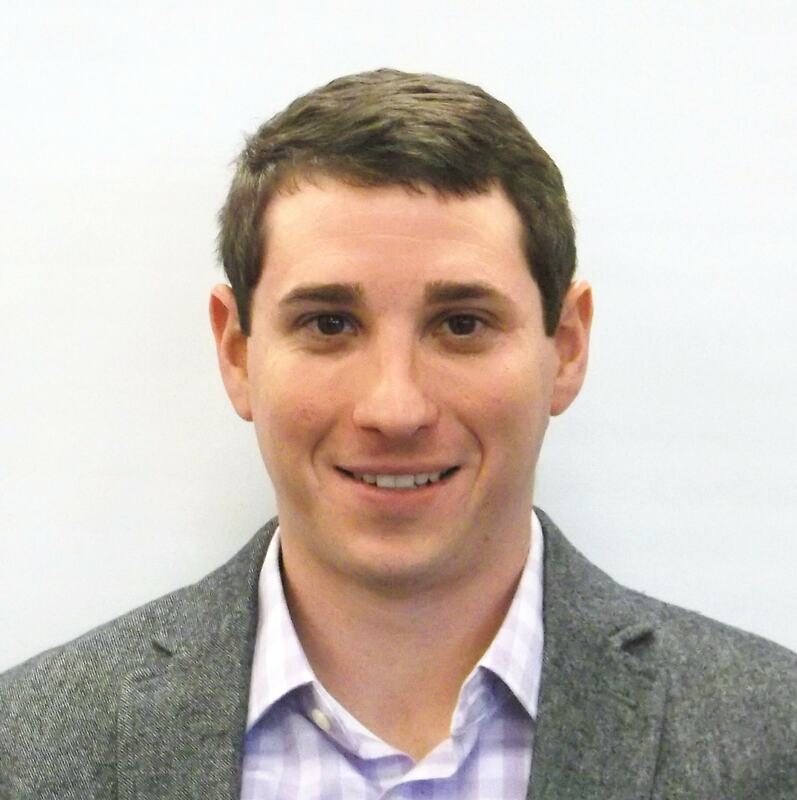 Bryan Furman is a manager and serves as the US Retail Sector specialist, Deloitte Services LP. He is based in Charlottesville, Virginia. 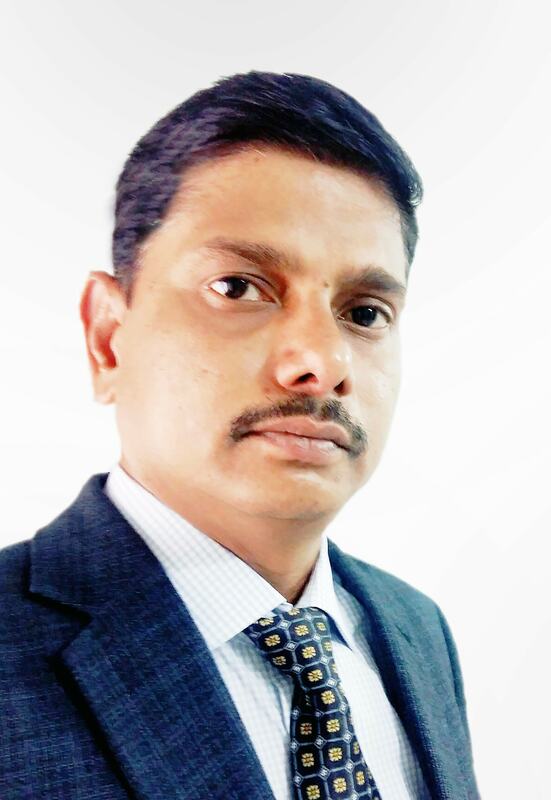 Rama Krishna V. Sangadi is an executive manager with Deloitte’s Center for Industry Insights. He is based in Hyderabad, India. 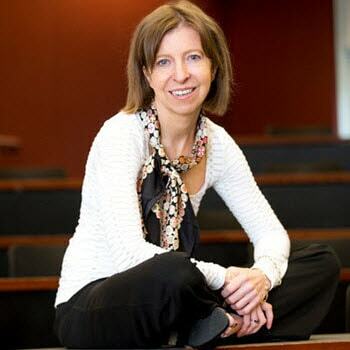 Susan K. Hogan is a researcher with Deloitte’s Center for Integrated Research. She is based in Atlanta, GA. The authors would like to thank Courtney Flaherty, Arun Tom, Zarah Mohamed, Britney Henry, Nilesh Phillips, and Kavita Saini for their contributions to this article. Deloitte is a leading presence in the retail and distribution industry, providing audit, consulting, risk management, financial advisory, and tax services to more than 85 percent of the Fortune 500 retailers. With more than 3,000 professionals, Deloitte’s retail and distribution practice provides insights, services, and approaches designed to assist retailers across all major subsectors, including apparel, grocery, food and drug, wholesale and distribution, and online. 2018 Deloitte holiday retail survey has been added to your bookmarks. 2018 Deloitte holiday retail survey has been removed from your bookmarks.